Medfield Youth Hockey (MYH) provides both boys and girls the opportunity to learn and develop skills to play competitive hockey. This page is intended to provide information for female players and their parents on what teams are available to them within the MYH program. The program has grown steadily over the recent years and now offers girls-only teams at the U8, U10 and U12 levels. Below is a list of programs and teams that girls can join and tryout for starting at age 4, taking them up to the age of 12. The season starts in early September and runs through March; however, there are opportunities to join the program after the season has started. 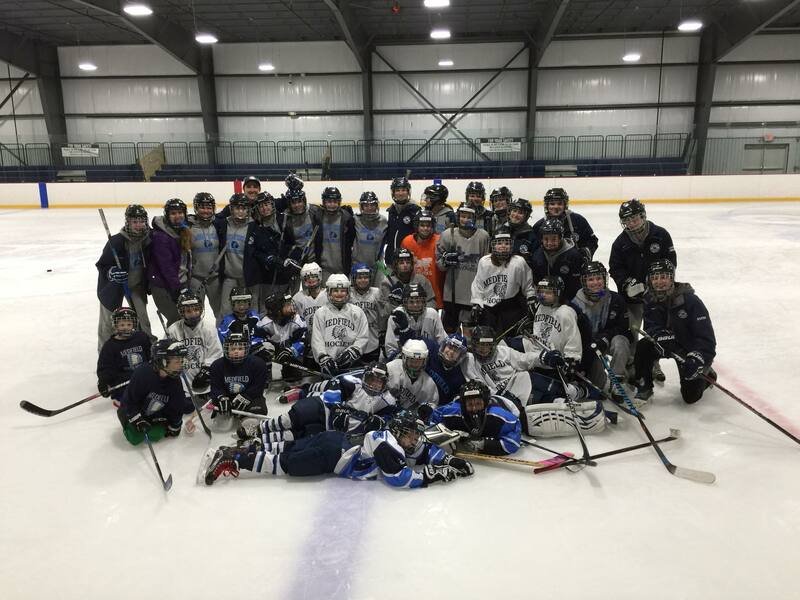 If you have any questions at all about Girls Hockey, you can contact our Directors of the Medfield Youth Girls Hockey Program: Mike McDonald at mmac2304@yahoo.com or Chris Hollander at chollander01@gmail.com. The U-8 Girls will play in a 4 team girls-only league with three other local towns with one game each weekend, starting in October and running into March. Home games are played at the Norfolk rink (Dean Street, Norfolk, MA) at 5:00pm on Sundays. Away games are played at rinks in surrounding towns.